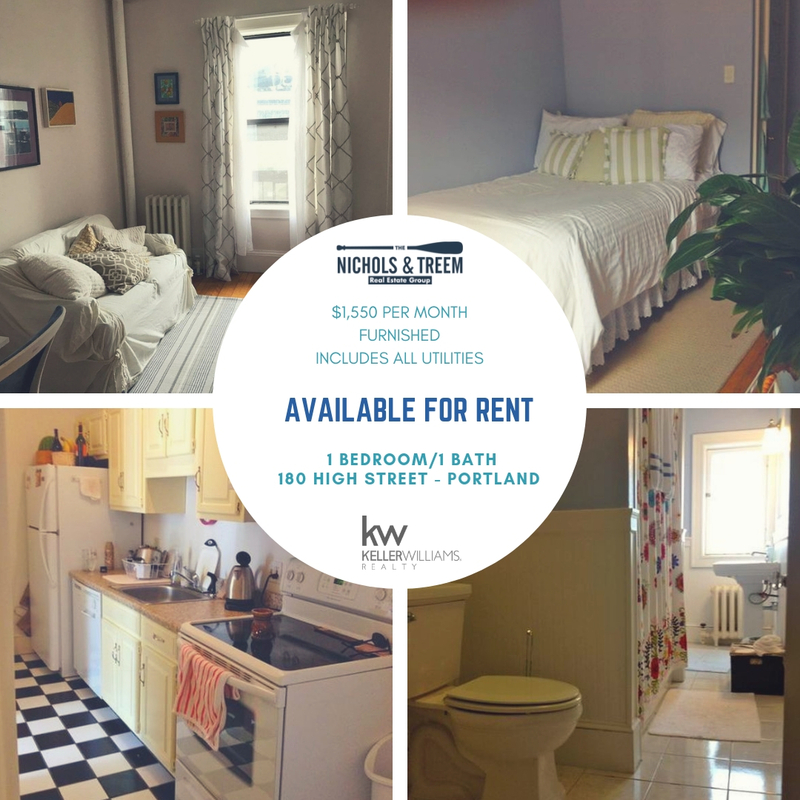 Great 1 bedroom, 1 bath condo for rent in Portland. This cute place comes furnished and is in the Marlborough building on high street. Rent is $1,550 per month and includes ALL utilities – heat, hot water, electric and internet. Email Angel at angel@nicholsandtreem.com or call her at (207) 798-2904 anytime to take a look.